Paul D. Miller (b. 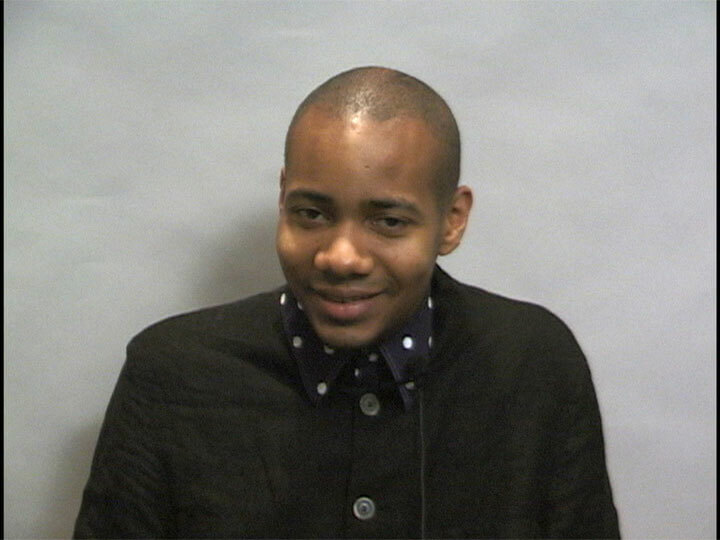 1970) is a conceptual artist, writer, and musician better known as DJ Spooky. A popular and prolific recording artist, he has collaborated with Ryuichi Sakamoto, Butch Morris, Yoko Ono, Thurston Moore (of Sonic Youth), Kool Keith, and Killa Priest (of Wu Tang Clan). Miller’s work uses a wide variety of digitally created music as a form of postmodern sculpture. He has written articles for The Source, Artforum, Raygun, Rap Pages, and Paper, and works as co-publisher of the magazine A Gathering of the Tribes and as editor-at-large of the digital media magazine Artbyte: The Magazine of Digital Culture. In addition, Miller made his foray into fiction with his novel Flow My Blood the DJ Said. "Fragmentation is perhaps a more wholesome viewpoint in notions of totalized environments," notes the artist in this interview by Romi Crawford and Carol Becker.